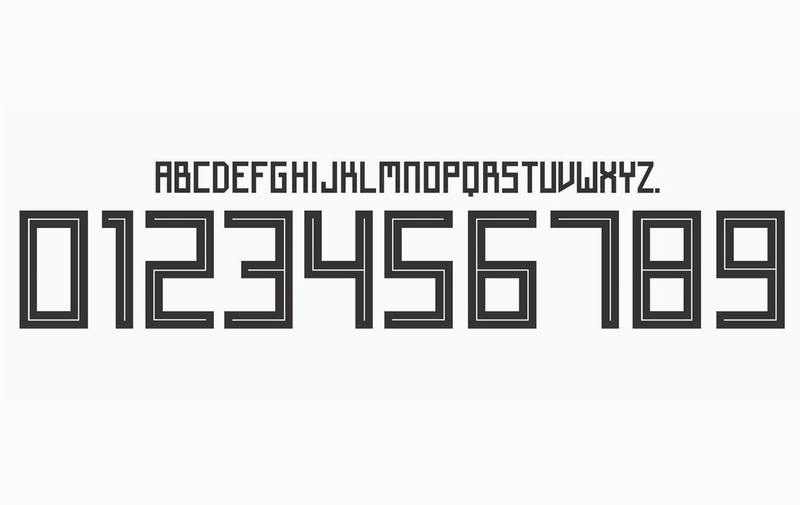 The official, World Cup typeface for player jerseys has been criticised in recent days for being unreadable. Designed for Adidas, inspired by the Cyrillic and traditional Soviet imagery, the font makes some of the letters confusing with others because of its angular character. A pair of letters ‘A’ and ‘R’, ‘D’ and ‘O’ and ‘X’ and ‘K’ from a long distance may prove difficult to distinguish and thus to read correctly. FIFA regulations make it clear that the typeface used in all costumes must be legible and distinguishable by all players, match officials, spectators and the media. Adidas fountain in this field is not very able to defend itself, as pointed out by Twitter users over the last week. The Adidas font is absolute garbage. I dare anyone who doesn’t know these players to try to figure out Khedira’s name by reading his shirt.